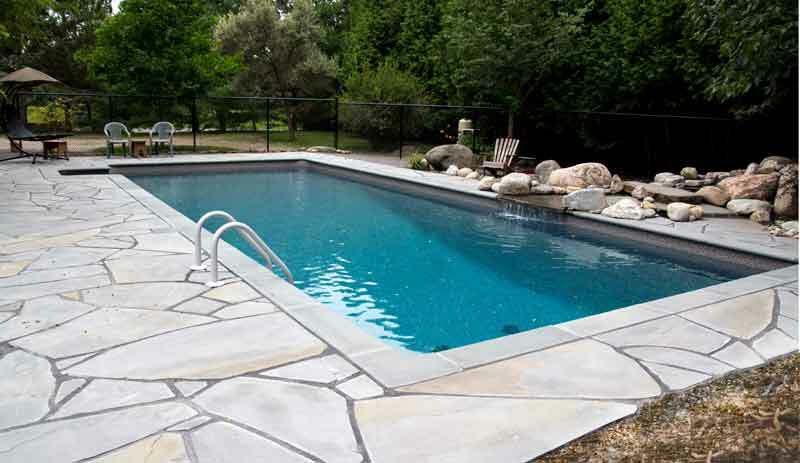 "We met Ryan Calver at the Ottawa Home Show in September 2014 while looking for someone to design and install a natural flagstone patio around our pool. 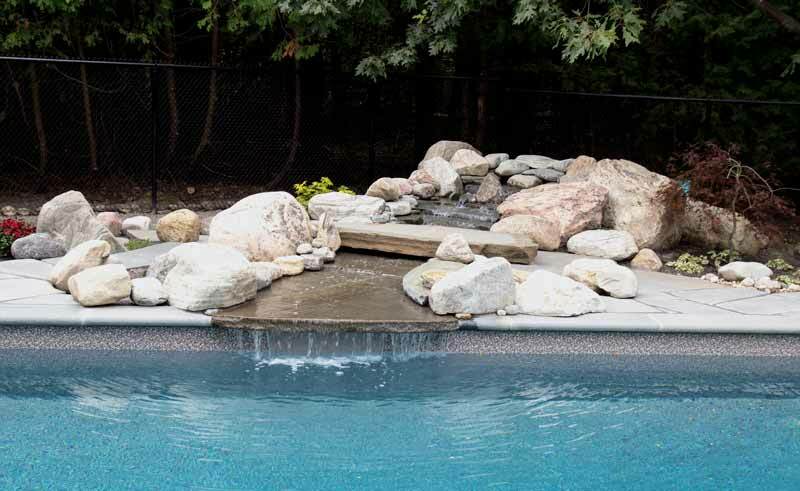 We were so impressed with his work that we hired him not only to install the patio, but also to design and build a waterfall feature to connect with the pool. At our first meeting, he presented us with a concept drawing. Ryan took all of our feedback in stride and worked with us to evolve the initial concept into the current finished design. During construction he focused on detail and precision, never once compromising the quality of his work. Throughout the process, he kept us well informed and patiently answered all our questions. Our whole family is thrilled with the exceptional quality and beauty of his work. We highly recommend Ryan to take on your next project." 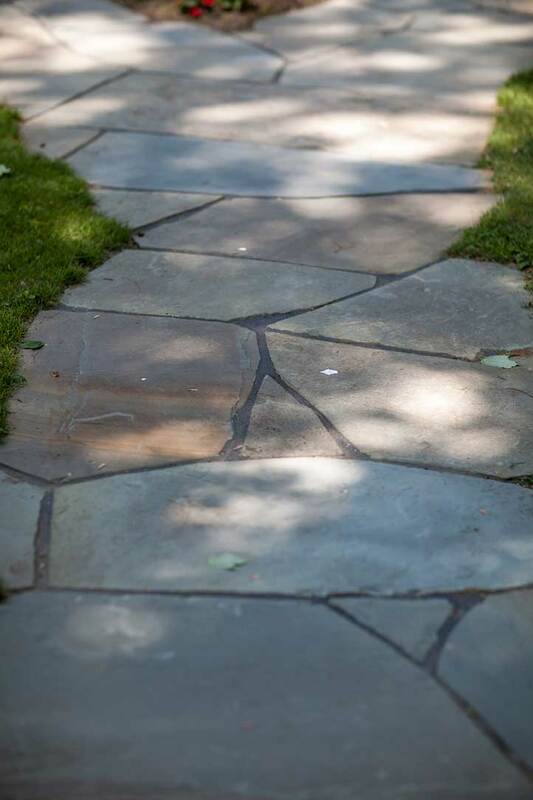 "Ryan is an extremely skilled and reliable craftsman. He has done several projects for us on our lakefront property and we have been thrilled with the outcome of every project. He works very hard and provides the kind of reliable and consultative experience that one wishes all tradespeople and craftspeople would provide. We look forward to having Ryan work on yet another project for us in 2015." 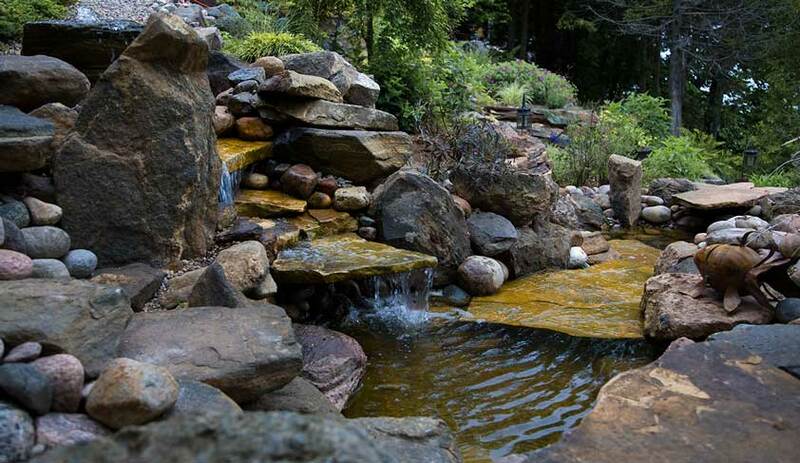 "Approximately seven years ago Ryan Calver installed a water feature consisting of a granite fountain with waterfalls, connecting 2 small ponds on a slope in front of our house. Ryan was integral in the creative design and installation of the project. Ryan provided a preliminary budget, work schedule and kept us informed throughout the process. 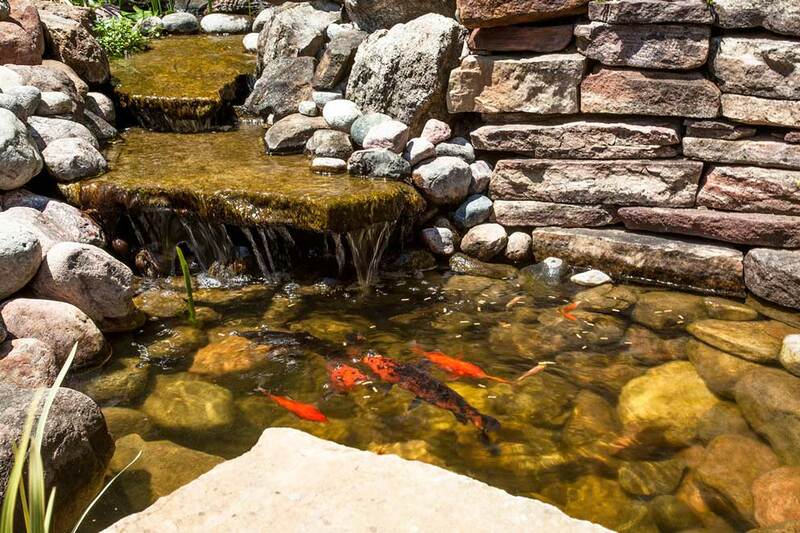 We have not had any maintenance issues related to the pond to date, and are very satisfied with the beautiful result. 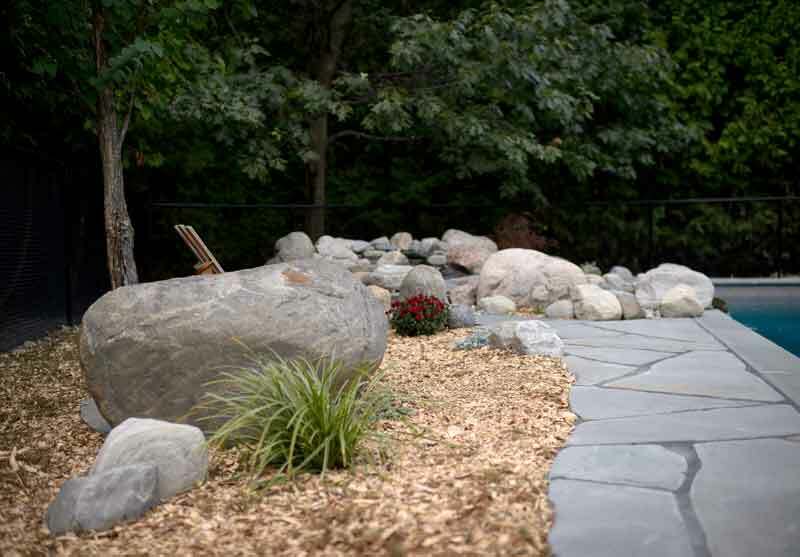 Ryan is an experienced, creative, diligent, trustworthy and hard-working individual who we would highly recommend for any landscaping project that you may be considering."